Calls more than 190 people to testify in week of judicial manoeuvres as high-profile prosecutor and judge fall under spotlight. Comodoro Py, the Retiro-based courthouse that dominates judicial life, exploded into action this week, with accusations flying from one side to the other as the so-called ‘cuadernos’ (“notebooks”) graft case picks up steam again. Former president Cristina Fernández de Kirchner has been summoned to the federal courthouse for a third time, slated to appear before federal Judge Claudio Bonadio and prosecutor Carlos Stornelli – on the day of her late husband’s Néstor Kirchner’s birthday, February 25. It won’t be just Fernández de Kirchner who will have to appear to testify, though. Another 100 individuals – including key business leaders and expublic officials – are also being summoned as prosecutors and judges probing an alleged corruption and bribery ring centred on Fernández de Kirchner’s government continue their investigation. 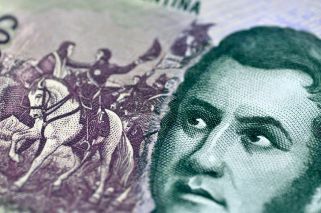 Witnesses and defendants will be parading through Comodoro Py for the next three months, with hearings due to begin in the latter part of February. 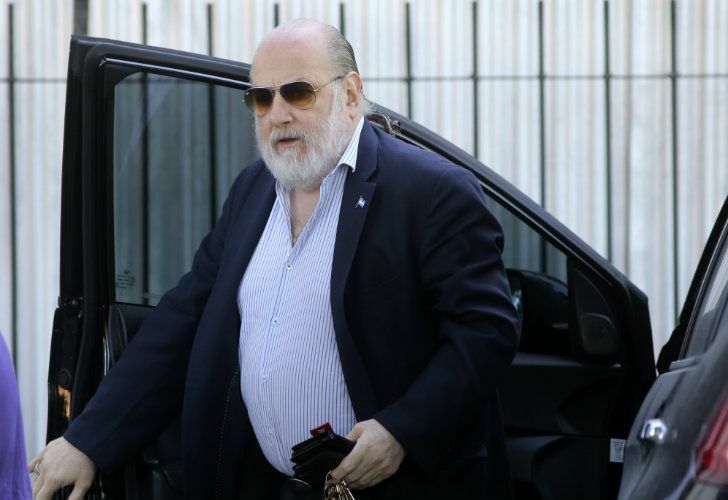 Yesterday, the heat was turned on even higher after Stornelli himself came under attack, accused by journalist Horacio Verbitsky of trying to extort bribes in return for not pursuing investigations. Verbitsky’s story is reportedly based on an investigation being carried out by federal judge Alejo Ramos Padilla and centres on a lawyer named Marcelo D’Alessio, who claims to have worked for the US Drug Enforcement Agency. D’Alessio was supposedly filmed receiving money that was on its way to Stornelli, according to the accusation. To add fuel to the fire, federal judge Luis Rodríguez was suspended from a parallel investigation yesterday into the illicit enrichment of Kirchner’s former personal secretary, the late Daniel Muñoz. Rodríguez was accused by Muñoz’s widow Carolina Pochetti in her plea bargain with Stornelli and Bonadio of receiving bribes in exchange for keeping her and several other defendants out of prison, claims which the federal judge has denied. The case, which is focused on detailed records of alleged crimes recorded by Oscar Centeno, a former chaffeur detailed to the federal Planning Ministry, is one of Argentina’s highest-profile corruption probes to date and focuses on bribes and corruption related to public works contracts. Judge Bonadio summoned Fernández de Kirchner, the sitting senator for Buenos Aires province, and 100 other individuals on Wednesday afternoon, as investigators explore an alleged corruption and bribery ring centred on the Kirchnerite administrations which led Argentina from 2003 to 2015. The next day Bonadio summoned 92 mayors for good measure. Among the business leaders called for questioning are President Mauricio Macri’s cousin, Ángelo Calcaterra, formerly of the IESCA construction firm, and Carlos Wagner, the former head of the Argentine Chamber of Construction. Businessman Aldo Benito Roggio must also appear before the court, along with Juan Chediack, a businessman-turned-state witness. Disgraced businessman Cristóbal López, owner of Grupo Indalo, also appears on the list. The mayors (hailing from 15 different provinces but mostly Buenos Aires and Chaco) are generally not such big names apart from former Cabinet chief Jorge Capitanich, now mayor of the Chaco provincial capital of Resistencia. Strikingly, there was nobody from the Greater Buenos Aires Province (except Quilmes ex-mayor Francisco Gutiérrez). Former public officials were also cited, including ex-minister Julio De Vido, who has been jailed since 2017 on other charges, and his close associate Roberto Baratta, as well as former public works secretary José López, also currently jailed on additional charges. A busy day in court yesterday also saw Pochetti, former Santa Cruz provincial economy minister Juan Manuel Campillo and accountant Víctor Manzanares (the only key witness who still refuses to be a whistleblower) indicted. It was Pochetti who put the heat on Rodríguez by confessing to having paid the judge a bribe of US$10 million in order to head off any investigation into the US$70 million she inherited from her husband. But the Civic Coalition headed by Elisa Carrió (allied to President Macri) was quick to add fresh ammunition against the judge, who now falls under the scrutiny of the Magistrates Council over these and other charges, which Rodríguez denies. Meanwhile Stornelli was the target of journalist Horacio Verbitsky’s website accusing him of trying to extort (via his alleged middleman, the lawyer D’Alessio) up to US$500,000 from businessman Pedro Etchebest in return for not investigating him on suspicions of collecting bribes on behalf of Campillo. Stornelli denied the accusation as a “cheap shot” but will still be investigated by Dolores federal judge Alejo Ramos Padilla.